Chevrolet accounted for nearly 61 per cent of all GM sales in Canada in February. New-vehicle sales in Canada rose 2.1 per cent in February, just a few days after Scotiabank Economics predicted the industry is headed for a down year and end to a five-year run of record annual sales. Automakers sold 126,046 vehicles last month and have now sold 243,831 through the first two months of the year, up 3.9 per cent over the same time frame last year. Honda, Nissan and Jeep brands all posted record sales in February. Once again, trucks continue to be the dominant factor with truck sales representing 71.4 per cent of overall sales for the month, according to the Global Automakers of Canada (GAC). “Companies without a robust truck and SUV portfolio are challenged with their existing product mix,” GAC President David Adams said. He noted consumer confidence remains high. The Conference Board of Canada reported that February consumer confidence levels were at their highest monthly levels since November 2000. “We know that higher levels of consumer confidence normally translate into better sales for big ticket items, such as new vehicles,” Adams said. February sales were 12 per cent above the five-year average sales for the month, Adams said. FCA led all manufacturers in February, with 18,831 sales, narrowly surpassing Ford by 330 units. The Ford F series pickup and Honda Civic were the best-selling vehicle and passenger car respectively in February 2018. Nissan Group had a Canadian sales total of 9,813 units in February, an increase of 3.2 per cent and the company’s best February. The Nissan division set a February sales record with 8,982 units sold, an increase of 3.2 per cent year-over-year. The luxury Infiniti brand saw February sales increase, up three per cent to 831 vehicles. The Nissan Rogue utility vehicle, Nissan’s best-selling vehicle in Canada, continued to see strong sales, posting its best February with 3,099 vehicles sold, up 8.1 per cent year-over-year. The Nissan Qashqai compact utility vehicle held its position as the second-best-selling model in the Nissan lineup with 1,073 vehicles sold. However, Canadians wanted little do with several of Nissan’s passenger cars as Sentra, Altima and Maxima sales are dropped by 36, 26.9 and 24.4 per cent, respectively. While its F series pickup continued to be the most popular vehicle in the country with 8,600 sold, Ford’s total sales dipped 2.4 per cent. Truck sales dropped 2.2 per cent while care sales fell 4.7 per cent, despite increased sales for the Focus, Mustang and Taurus. Toyota saw its total sales drop 1.3 per cent, down to 13,236 vehicles in February. The automaker didn’t immediately provide a sales breakdown by nameplate. It’s luxury Lexus brand was down 19.3 per cent. Honda Canada reported total February sales of 11,791 vehicles, an increase of 1.4 per cent over last year, with the Honda brand posting a record total for the month. The Honda division delivered 10,667 units, up three per cent over 2017. Honda CR-V set a February record of 3,398 units sold versus the previous best of 3,240 set in 2017. The Acura division reported February sales of 1,124 units, down seven per cent versus last year. Subaru Canada had its best February on record with 3,254 until sold, a 9.7 per cent increase compared to the same month last year. This comes following its best January on record, and its sixth consecutive annual sales record in 2017, with 54,570 units sold. General Motors Canada’s fast start to 2018 continued in February as the automaker delivered 17,981 vehicles, an 8.8 per cent increase over the same month a year ago. GM Canada said 5,773 of those vehicles were fleet deliveries. Chevrolet, the automaker’s only brand to post an increase, accounted for nearly 61 per cent of total GM Canada sales. The Malibu and Trax were the brand’s only two vehicles to post decreases. Cruze sales were up 59.1 per cent while Equinox and Silverado sales were up 9.5 and 5.4 per cent, respectively. 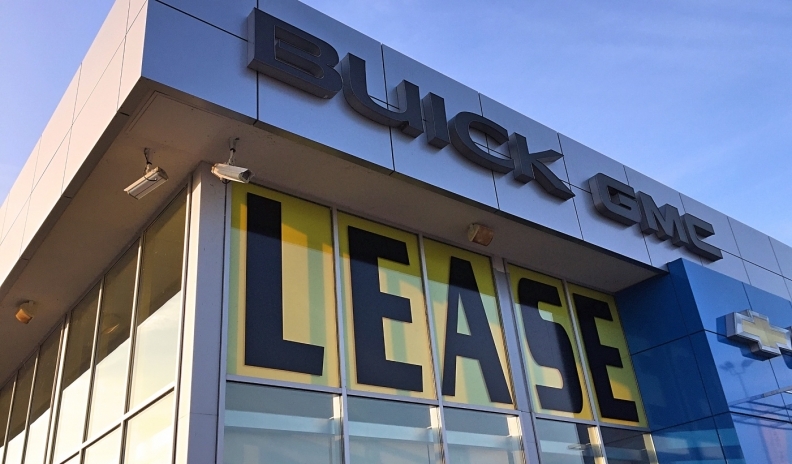 Overall, Buick sales were down 7.9 per cent; Cadillac 6.4 per cent; and GMC one per cent. John Roth, vice president, sales, service and marketing for GM Canada, remains optimistic for the year. “Our dealers remain on track for another solid year of sales performance,” he said. Total sales of the Hyundai brand were down 11 per cent over February 2017. Hyundai’s popular Santa Fe took a hit in February, with total sales of the smaller Sport model and larger seven-seat XL falling 20.6 per cent to 1,202 units, down from 1,514 last year. Tuscon sales were also down slightly to 1,447, a 5.5 per cent decrease. When it comes to cars, total Elantra sales were down 13.7 per cent to 2,293 units. Sales of FCA vehicles slipped slightly in February, down 1.5 per cent to 19,115 units. Jeep was the only one of the automaker’s four mainstream brands to post a sales increase, up 46 per cent to a monthly record of 6,563 vehicles. Jeep Wrangler posted a 175 per cent increase in February to 2,898 units. Jeep Grand Cherokee sales were up 10 per cent to 1,337. Chrysler sales were down 20 per cent to 967 vehicles; Dodge sales fell 22 per cent to 4,191; and Ram saw its numbers slide 11 per cent to 6,977. On the luxury side, Alfa Romeo sold 105 vehicles.